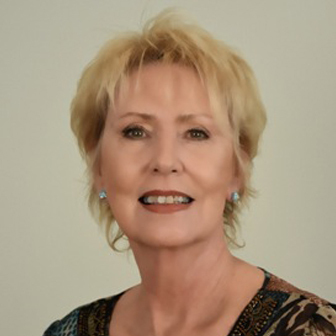 Over the past years Judy has been a consistent multi-million dollar producer and continues to provide clients with the best possible representation based in knowledge, integrity and honesty. Her expertise and understanding of the island and coastal real estate transactions means that she can provide you with the information that you need to make educated decisions when buying or selling on Topsail Island. "I have sold all of my listings. If you are interested in selling your Topsail Island area home or lot, please contact me for an exceptional experience. My experience and expertise will get your home sold quickly and for the most money!" "Judy took such good care of us through the process of buying our vacation home. I couldn't be happier! She's the best. Definitely goes above and beyond the call of duty. I've also made a new friend. I highly recommend her." "My wife and I were blessed to "stumble" upon Judy Carlton the we "accidentally" rented a unit from Ward Realty a few years ago. She sold us a condo in Topsail Reef. Recently she sold us an upgrade condo at Surf Condos. From the beginning, Judy was outstanding in her friendliness knowledge, professionalism and effort. This most recent time she was absolutely AMAZING! Her hard work got the deal done in a week. That sure seems fast. We live in WV and felt comfortable that Judy has our backs if we have questions or need help. She is wonderful!" "We could not have asked for a more efficient, client oriented agent than Judy. She walked me down a path that I was unsure of on how to go about obtaining the various insurances, etc. She is great at her job and I highly recommend her to anyone that needs an agent." "I'd like to express our gratitude for all of Judy's assistance and professional determination throughout our sales process. Her local real estate knowledge and attention to detail was invaluable from the home selection, offer, inspection, and closing processes in Surf City/Topsail Island. In an ever changing local real estate environment, we found that having her on our side was a tremendous advantage and we are thankful to have worked with her." "We are so happy with the home and expect many happy hears at the beach!"